Air-bearing solutions and magnetic linear motors currently represent the state of the art in inspection and manufacturing systems in the semiconductor industry. 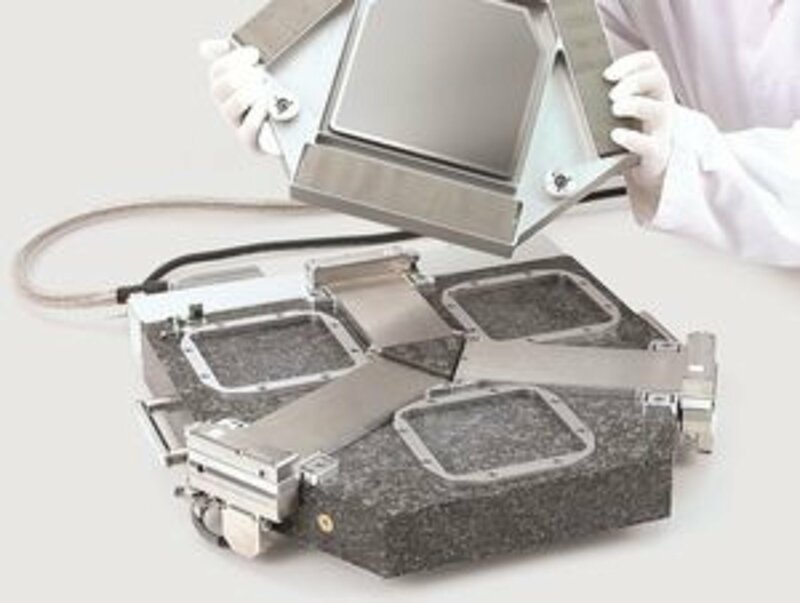 However, with increasing requirements for achieving nanometer precision or for applications in vacuum or nitrogen atmosphere, such systems soon reach their limits. 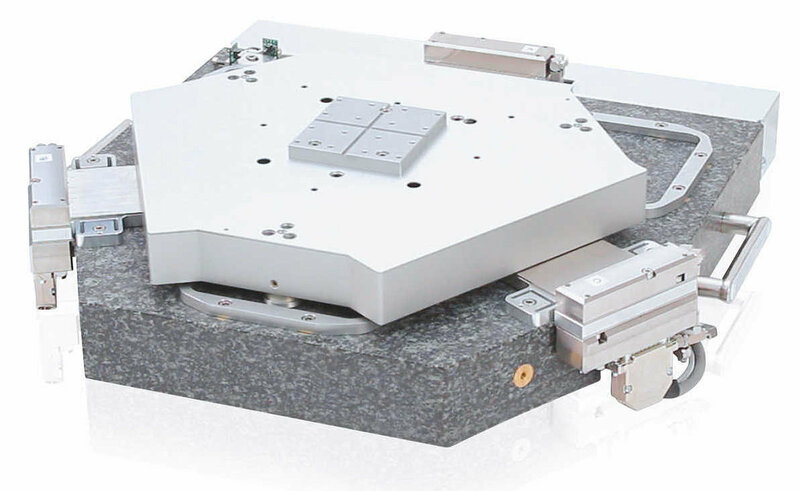 The PIMag® 6-D is an electromagnetic positioning system, where the passive platform levitates on a magnetic field which guides this actively. In this way, objects can be moved linearly or rotationally on a plane with a previously unattained guiding accuracy. The major advantage of this concept is the absence of any mechanical contact in the drivetrain or the guides; consequently, there is no friction. As there is no friction, there is no wear which could contaminate the work space. Furthermore, neither air nor grease are needed for lubrication, making magnetic field-based systems perfectly suitable for applications in vacuum or nitrogen atmosphere. 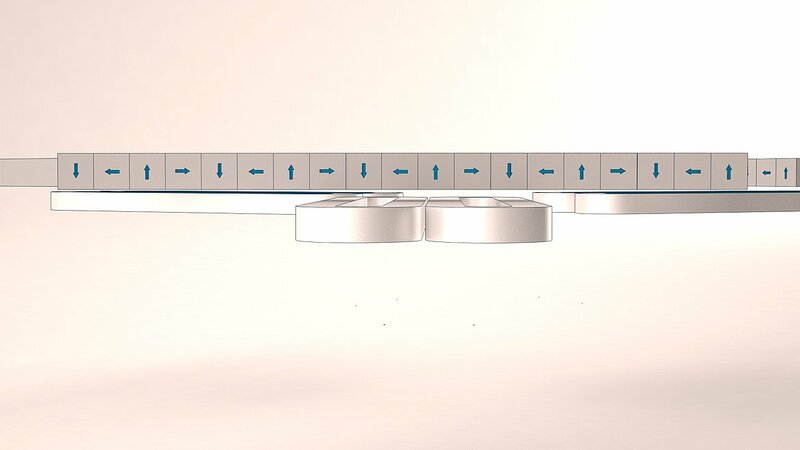 The platform levitates on a magnetic field generated by only six planar coils in the stator, with the magnetic field being actively controlled using a 6-D sensor. The platform itself is passive, so it does not need any electrical supply lines. This provides more freedom of movement as there are no cables in motion to prevent the platform from moving quickly and accurately over an extensive surface area. 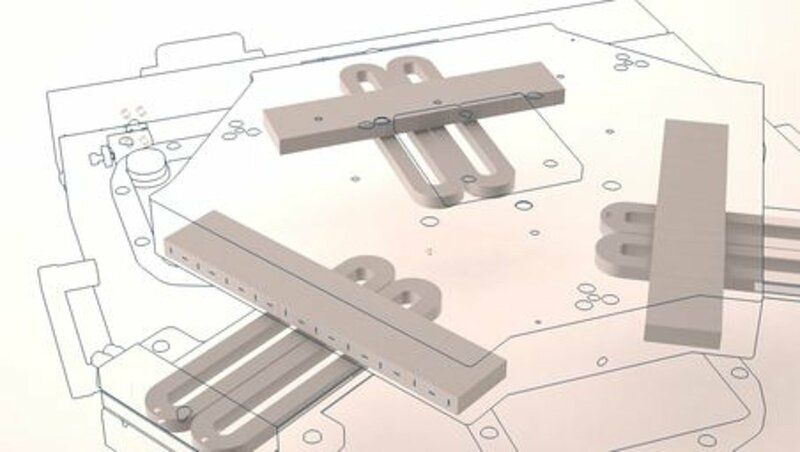 The Halbach arrangement of the magnets in the passive platform makes it possible to increase the load carrying capacity, to minimize the energy required by the active coils in the stator for carrying the platform, and to reduce thermal load. The Halbach arrays consist of permanent magnet segments with the magnetization directions tilted against each other by 90° in the direction of the array's longitudinal axis. This makes the field lines move closer together on one side, thus increasing the magnetic flow density. On the opposite side, the field lines are less dense than in the undisturbed magnet. Consequently, the magnetic field is already attenuated at a short distance and is therefore very weak. In order to ensure thermal stability in the working space, the drive coils in the stator are surrounded by a flat, sandwich-type cooling system, allowing for efficient heat dissipation. During system operation, the increase in temperature on the upper side of the coil is therefore less than 1 K.
The high-resolution measuring system for six degrees of freedom, integrated in the stator, is the key element of positioning control. 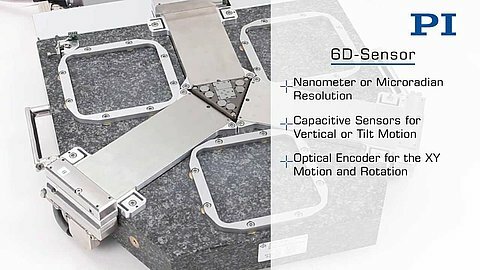 The compact sensor head of the PIMag® 6-D consists of optical and capacitive sensor elements and captures the position of the platform in all six levels of freedom. The incremental optical 2-D sensor has a resolution of 10 nm and is able to detect rotations about the vertical axis by up to +/- 0.25°. The platform also does not require an electrical supply line for the measuring system. The prototype currently has a motion range of 100 × 100 × 0,15 mm³. Trajectory motions can be carried out at an acceleration of up to 2 m/s2 and a velocity at present of up to 100 mm/s with nanometer precision. 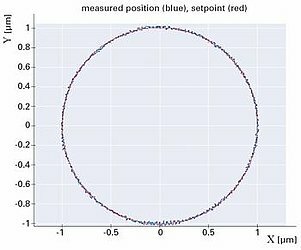 A standard deviation of <6 nm in the translatory axes and of <250 nrad in the tilting axes is presently achieved when positioning to a point. The current well advanced development study PIMag® 6-D positions with a resolution of 10 nm. For example, if the system moves on a circular path with a diameter of 100 nm the maximum deviation from the ideal line is only a few nanometers.